It has to be an emergency if you’re gonna go fast. Like, if you really need to go to the bathroom. 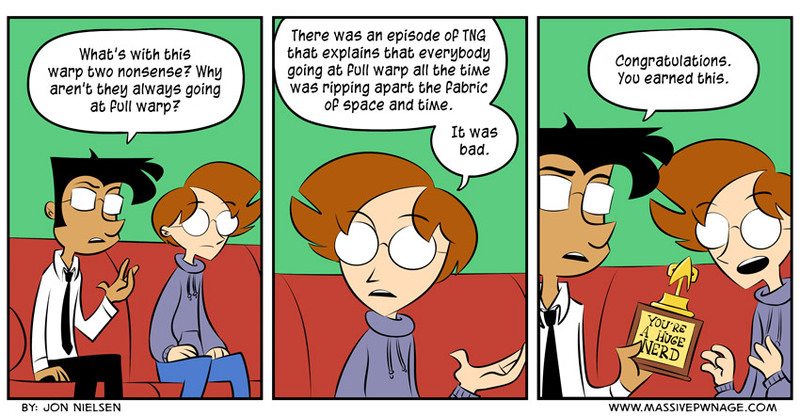 This entry was posted on Monday, April 28th, 2014 at 12:00 am and is filed under Comics. You can follow any responses to this entry through the RSS 2.0 feed. Both comments and pings are currently closed. So basically a wizard did it. Cheesey extreme, but true. Ha! At least they mentioned it. Not like in Voyager when all of the lack-of-energy problems from the first few seasons were conveniently forgotten about.